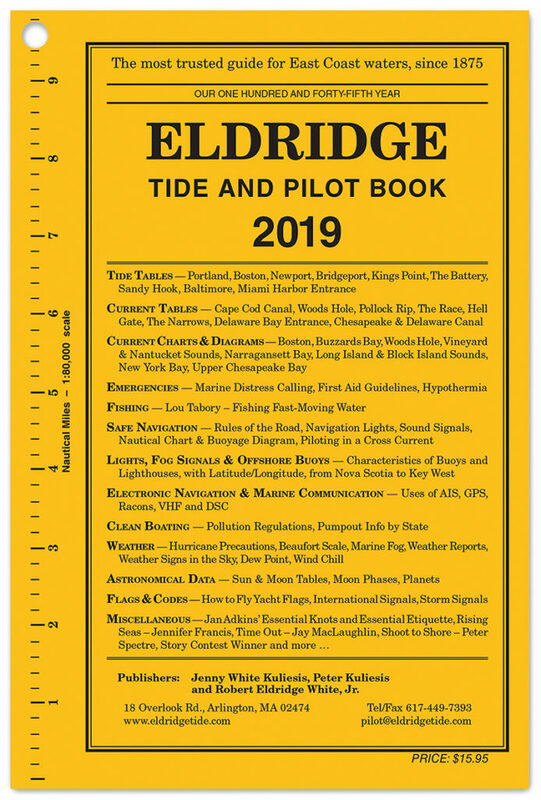 The Eldridge “Tide and Pilot Book 2019” has tides and currents for ports from Nova Scotia to Key West. Eldridge has published for 145 years, giving boaters valuable information on GPS and electronic navigation, marine weather, federal regulations, navigation rules, coastal piloting tips and emergency first aid. The “Tide and Pilot Book” is a backup reference for electronics that further helps readers with useful articles on fi shing, nautical astronomy and maritime traditions.